When a property is sold it is quite common for the vendor to insist on a £1 ‘section 198 election’ for the purposes of capital allowances. This effectively gives the vendor the benefit of the capital allowances on the building going forward. This may be in the form of an immediate balancing allowance or simply a larger capital allowances pool to claim allowances on going forward. 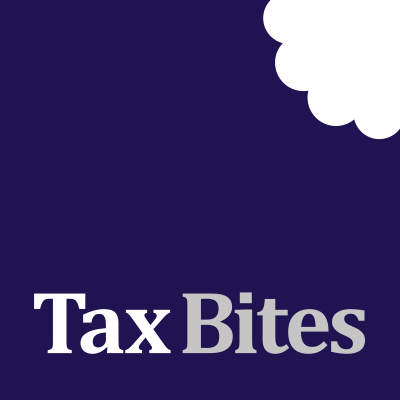 Sometimes when a vendor is asked about the capital allowances position of a property by a potential purchaser they will say that they are irrelevant ‘because there are no allowances available’. The position here should always be probed because there may still be some capital allowances on the table. Integral features were only introduced in April 2008 and importantly there were some new items such as general cold water systems and standard electrical and lighting systems which had not qualified for capital allowances previously. Any section 198 election made before April 2008 therefore by definition cannot affect a purchaser’s ability to claim for new categories of qualifying expenditure after that date. Theresa May is the shareholder of Brexit Properties Ltd and she is negotiating the acquisition of a £10M office block from Tusk Enterprises (owned by Donald Tusk). When asked about the capital allowances position Mr Tusk stops Mrs May mid-sentence by declaring that Tusk Enterprises entered into a £1 section 198 election with the previous owner and therefore there are no allowances available. Mrs May then skulked away declaring that a nil capital allowances position was the best deal that Brexit Properties Ltd would get. Fortunately her good friend Boris then introduced her to Forbes Dawson who suggested that she ask when the previous owner had acquired the property. Mr Tusk eventually revealed that the previous owner had acquired the property in 2006. As this meant that various new integral features were ‘up for grabs’ Mrs May was able to negotiate a much better property deal. Ultimately they agreed to share the benefit of the new qualifying expenditure, which was quantified at £750,000. Note that because of requirements since 1 April 2014 Tusk Enterprises has to pool the allowances (based upon its own acquisition cost) before the deal, and then dispose of the amount due to Brexit Properties Ltd, but even Mr Tusk was happy about this as he hadn’t realised that his company had any possibility of claiming allowances. Ultimately the allocation of available allowances will be the subject of commercial negotiation, but before such negotiation can take place it is important to establish what is on the table. Even if a seller says that no allowances are available it would be wise to establish at an early stage (ideally in heads of terms) that the buyer will get the benefit of all allowances. If Mrs May had taken this approach in our example above then she may not have had to share the spoils with Mr Tusk!